Sputnik has discussed the impact of the refusal to let Venezuela withdraw its gold with David Gibson, Managing Director of GoldVu, an international physical precious metals company. Sputnik: How much of a blow to the Latin American nation has the refusal to let Venezuela withdraw its gold been? David Gibson: Well, it's no secret that Venezuela is in desperate need of liquidity just to continue to function at the even reduced levels of services and basic necessities needed for the public. Gold is a monetary reserve. It is held and maintained by countries for the purposes of last resort liquidity and stability of the economy. So Venezuela is in a situation whereby it needs to use its gold for the very reason it exists in the first place, and not being able to do so is actually very bad news for them. In fact, bad news for any country in that situation. I mean the $1.2 billion is no small sum of money and it will go a long way in helping the Venezuelan government deliver critical services. Yet, even if they did get it tomorrow in all likelihood it will not last long, maybe a year or so, which, based on the last $11 billion repatriated by President Chavez it lasted around about six years. So I don't see it extending for more than a year, but nevertheless, it's breathing space. With the Bank of England doing this, it's not for anybody's place to dictate how and when a country can use its own gold just because that country is facing economic hardship. I mean the denial of repatriation by the Bank of England is not just a problem for Venezuela, but a huge red flag warning for other countries in general. Sputnik: This is precisely what I wanted to ask you about. I mean is there a precedent for this kind of a response by the Bank of England and more so at the request of a self-proclaimed leader? David Gibson: It is quite unprecedented because the whole role has been acting as custodians. This is private property, somebody else's private property. It's not for you to dictate when they can use it and what they can use it for. And when you have any country that acts as a custodian, whether it is Switzerland or the US, they should allow, if they get a request formally from a legitimate and democratic elected government then there is no reason or place for them to say otherwise. And what's happened is that by doing so the Bank of England has effectively destroyed both its credibility and trust in international eyes as a custodian. Now, what this is going to mean is there are going to be other countries that are going to start questioning whether the UK or indeed the US are safe harbours for the national gold reserves. 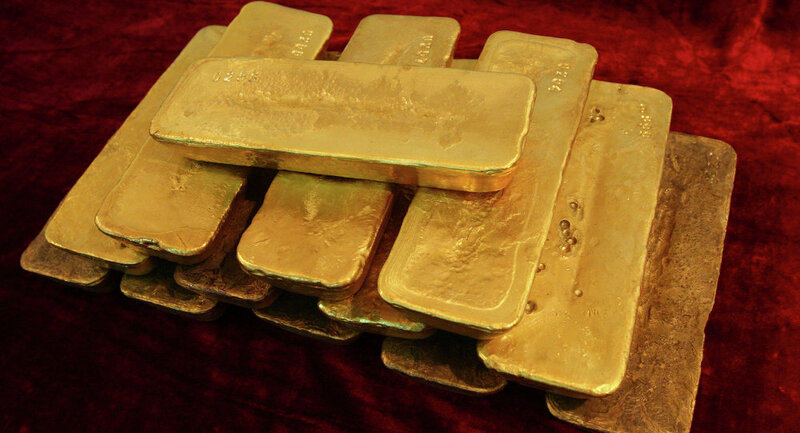 And it's not only that, it's been a question asked several time over the last few years now which resulted in the repatriation of gold from both the US and the UK back to the home countries, including Germany, and also again Venezuela back in 2011. Sputnik: Are there any steps that Maduro, the democratically elected president of Venezuela, is there anything he can do to put pressure on the Bank of England? David Gibson: Well, with respect to this, quite frankly, it's very little. I mean, he can't coming short of rocking up with the army, he can't really do anything. He can try and take this to an international court or tribunal, but you can be very sure that the West will drag any such proceedings out for many years. I mean their intent it to really hold off as long as possible to see if the current government will fail, so they can get their own man in. And really aside from it going down the legal route, they can try to get the friendly or sympathetic nations on their side to try and place pressure on their behalf on the UK, but I very much doubt it will happen. Sputnik: If we talk about refining gold in Turkey how realistic is that option? And what can you say about Turkey's capacities or how well is Turkey respected in that in the international community? David Gibson: Back when this happened last time with President Hugo Chavez, I mean when he repatriated 160 tonnes of gold back to Venezuela, basically he did two things. One, he sold it off at a slight discount in order to get cash liquidity as quickly as possible and also he entered into several barter arrangements and agreements with Ankara, whereby, he would sell them gold in return for a direct exchange of goods. Now through this President Chavez created quite a nice trust-driven relationship with Turkey with respect to their gold, which Maduro is capitalizing on. Now, this then allows Ankara with quite a fantastic opportunity PR-wise, because they wish to portray themselves internationally as a trustable partner relating to sovereign gold reserves against what is the backdrop of the UK and the USA failing in their custodial duties. And with Turkey, they are quite big on gold and they always have been, publically Istanbul has quite a large gold market. So this is something that Turkey is really going to want to push and is really quite happy to say, "Look at how we are being neutral in our behaviour and actions towards Venezuela and please do trust us with your gold, because here we are, we are receiving it and we're dealing with it in the correct manner, internationally by law". The views expressed in this article are solely those of David Gibson and do not necessarily reflect the official position of Sputnik.